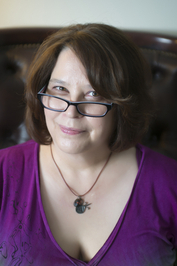 Before Rachel Caine was the New York Times bestselling author of over 40 novels, she was Roxanne Longstreet – a new writer struggling against rejections, dismal sales, and a nightmarish publishing industry. Come meet the author who's had it all, lost it all, and come out on top again – sometimes on a daily basis. Bring all your burning questions! It's been a wild ride throughout the Writers Bloc's first year - and we are inexpressibly delighted to get to cap it off with an author whose relentless hard work and painstakingly-cultivated skill is surpassed only by her overflowing generosity. Best of all, this is a Q&A session, not a lecture - so pack your curiosity and come treat yourself to a "fireside chat" with one of the best minds in the business! NOTE: We're in room A206 at North Lake College, and will follow the class with a social hour in the adjoining art gallery. Click here for campus directions - reference photos included!